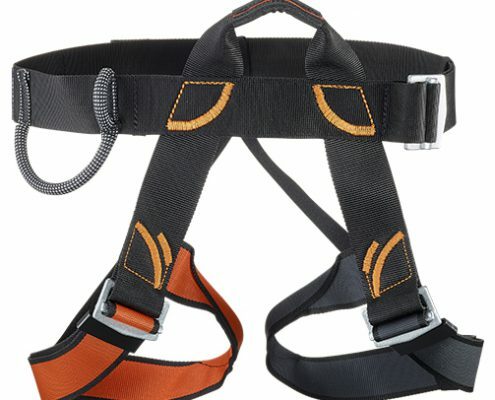 Fully adjustable harness, specially designed for aeial adventure parks and climbing gyms. 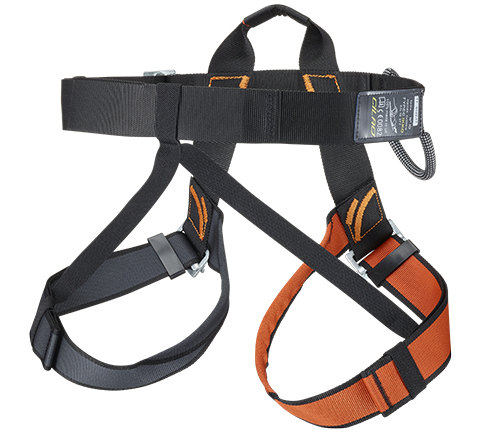 One-size-fits-all seat harness with a wide range of adjustment settings: 8 years – XXL. Its one-size-fits-all is suitable for anyone looking for a simple harness to use and to handle. 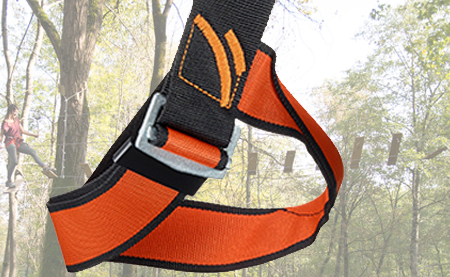 The iKKO harness is suitable for the large majority of your aerial adventure park or climbing center clients. 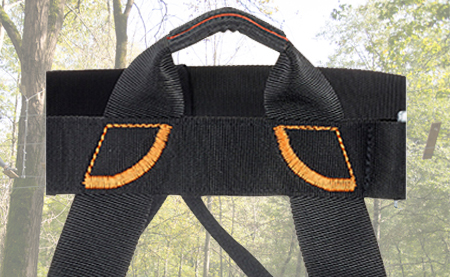 When facing a client, the waist buckle is placed on the right hand side of the operator, to ease its setup. 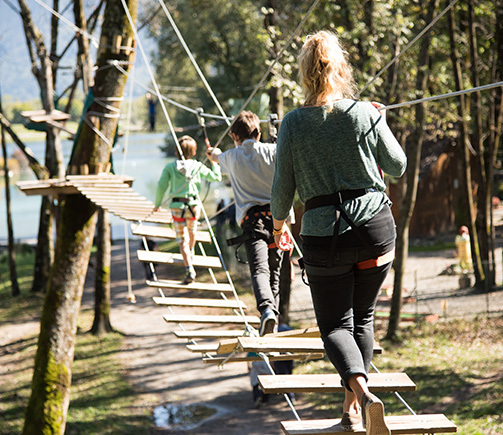 Equipment holder on the right-hand side of the participant with a capacity of 200kg. 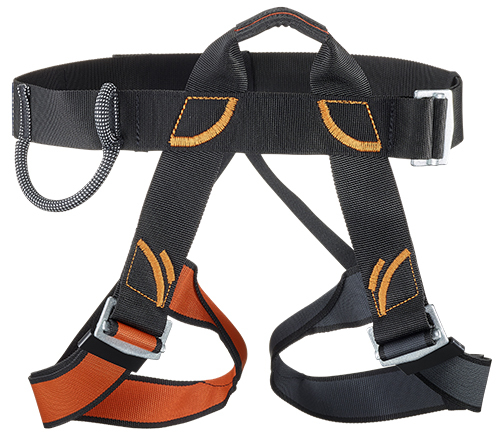 The harnesses may be tracked by means of a unique serial number which is covered by a clear, PVC protective layer. Three-year warranty covering any faults in design or manufacturing. – Lifespan: up to 10 years or 1,800 days of use starting from the first day it is used*. – Shelf life: up to 3 years before first use. * According to frequency of use, maintenance, storage conditions and observance of the PPE recommendations for use. When not in use, keep your hanresses away from humidity and ultraviolet light. 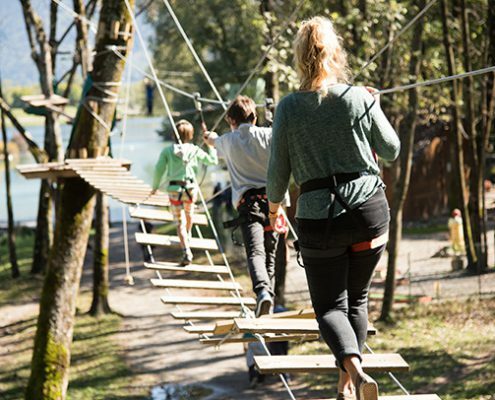 Easy-slide buckles allow rapid, effortless adjustments. 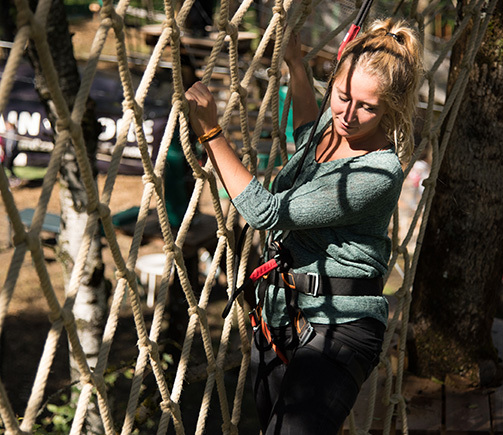 A plastic band restrain the straps to loosen up. 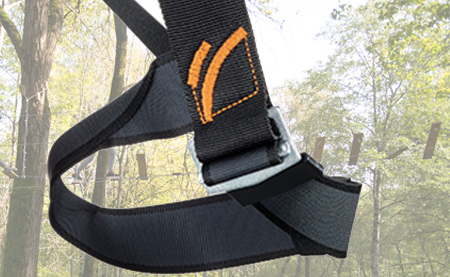 Straps are narrower between the legs for extra comfort when suspended. 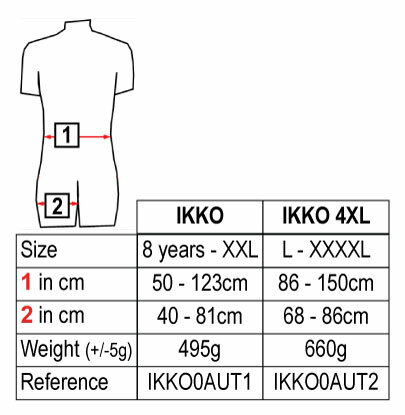 Single tie-in point with abrasion protection in Cordura. 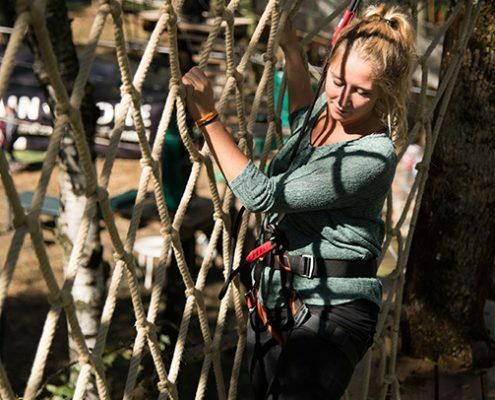 CiLAO is a French brand of equipment dedicated to mountain sports: backpacks, harnesses, lanyards, etc. We seek performance in our products and favor health and comfort through biomechanics.